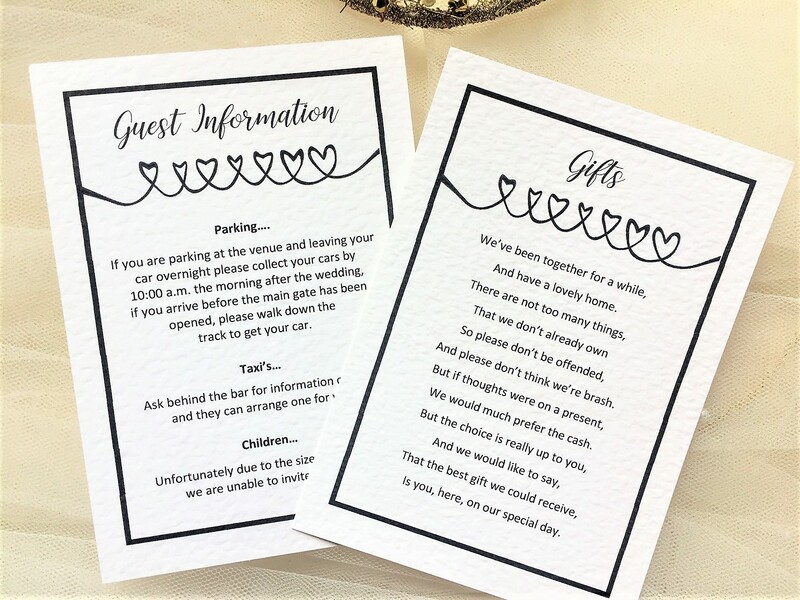 Linked Hearts Guest Information Cards are available on white or ivory hammered card or brown kraft card for a more rustic look. The cards are A6 size and are suitable for gift wish poems, see Wording Ideas for a selection of gift poems. 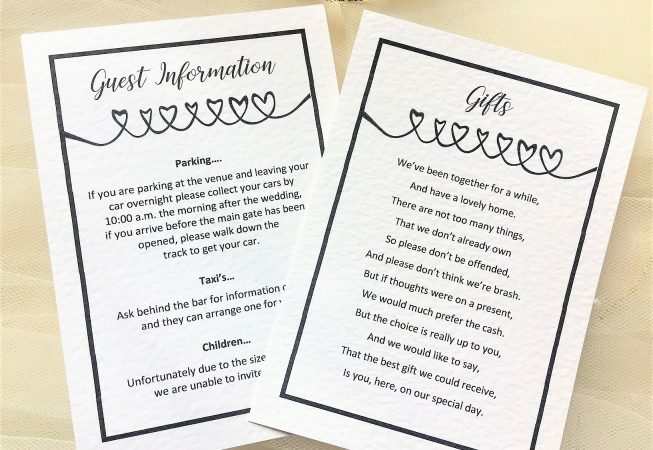 Cards can also be used to provide your guest with information such as venue directions, accommodation recommendations, taxi, car parking and travel information. 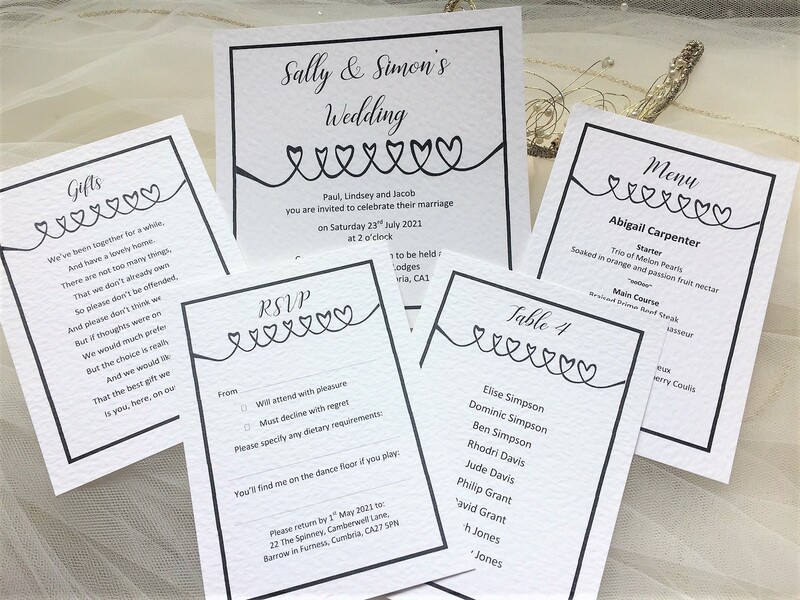 We can print in a typeface to match your stationery. Gift Wish Cards and Information Cards are perfect for weddings or any other special occasion. 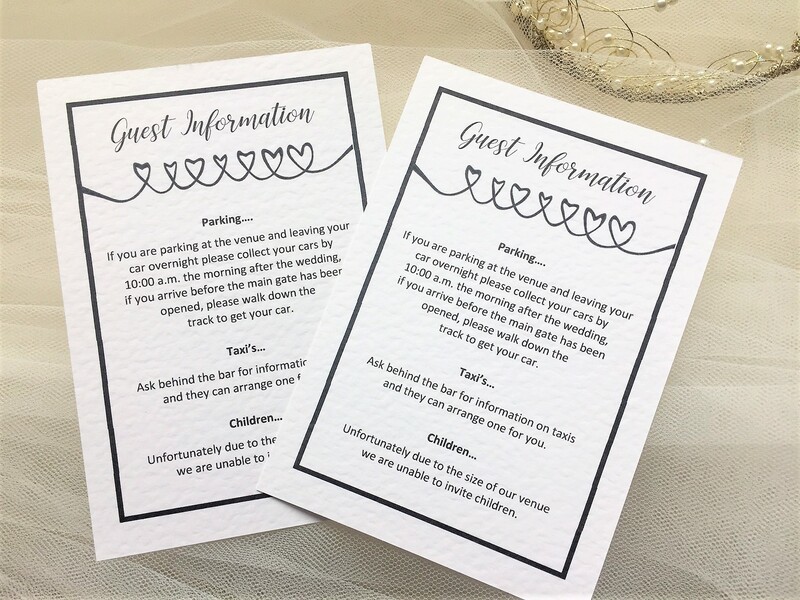 Linked Hearts Guest Information Cards are part of the Linked Hearts Wedding Stationery Range. 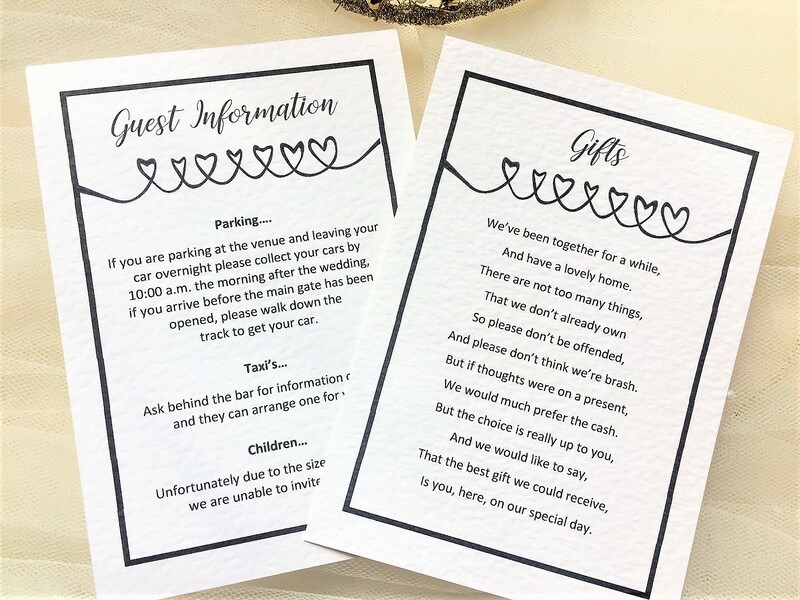 We can print any wording on your linked hearts guest information cards, the examples on our website are for illustration purposes only.